Well, as the saying goes, there's a first for everything, right? Well, this was a first for me and this is my 5th year doing weddings at Keswick Vineyards. We have been fortunate over the years to have the mountains in front of us for protection when scattered storms are out there. I can't tell you how many times I have watched the radar and have seen storms split and go around us until yesterday. 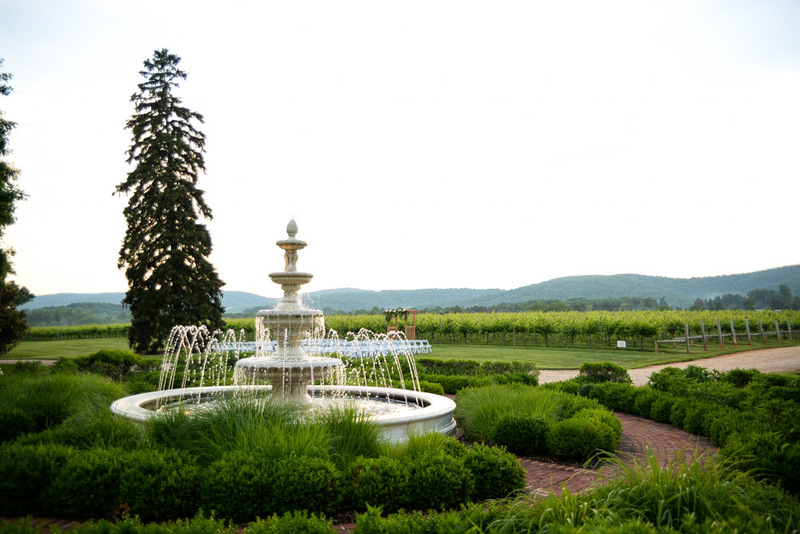 Katelyn and Mike were married at Keswick Vineyards on Friday, May 29th. 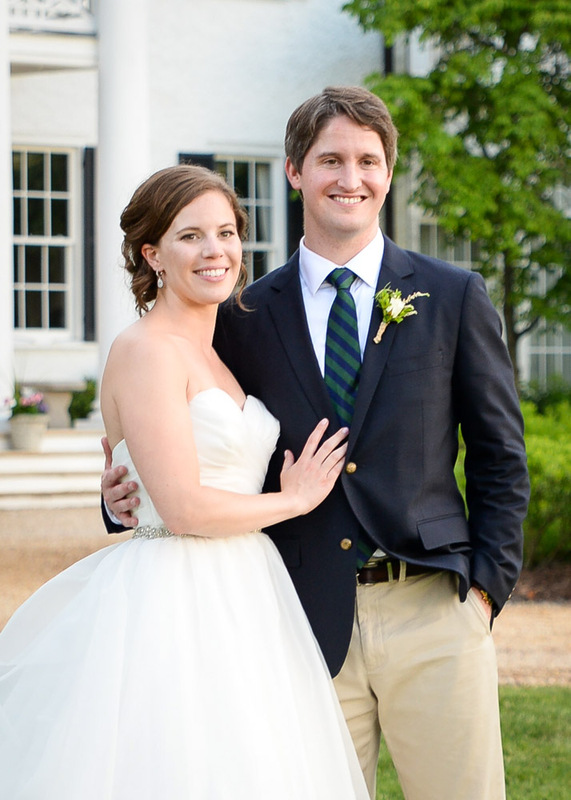 Thankfully, Katelyn and Mike had the correct attitude when Mother Nature throws you a curve ball. The scattered storms were coming from a different directions this time; from our back side. We knew the rain was coming so as guess arrived we had them go under the Sperry tent while we would wait out this rain cell. I thought this cell would pass in about 15 minutes and that would be no big deal to delay everything. What I didn't know was that those "protective" mountains of ours would work the opposite for us this time. Instead of the cell passing over us it stalled! I've never seen anything like this before. Those mountains were now holding that cell and that cell was breaking down before going any further. So, what do you do? Well, you switch things up a little. With the guests already under the tent we opened the bars and started cocktail hour. Hors d'oeuves were being passed around and guests enjoyed themselves as we waiting out the storm. In the mean time, Katelyn and Mike and the rest of the wedding party and family gathered to have photos done in a covered area. Once the storm had finally cleared, chairs were wiped down and we were a go for their wedding ceremony. The success of this wedding would not of been possible without the flexibility of so many people. Special thank you to the following vendors for being so flexible to allow Katelyn & Mike to have the wedding of their dreams: Caterer C&O, Wedding Planner Barb Wired, Officiant David Norris, DJ Derek Tobler, Photographer Mike Topham & Nancy, Verde Natural Florals, Hair & Make-up Artist Brianna Adams, Desserts by Pearl’s Cupcakes, Rentals by MS Events and buses by Blue Ridge Tours (Camryn & Vanterra).